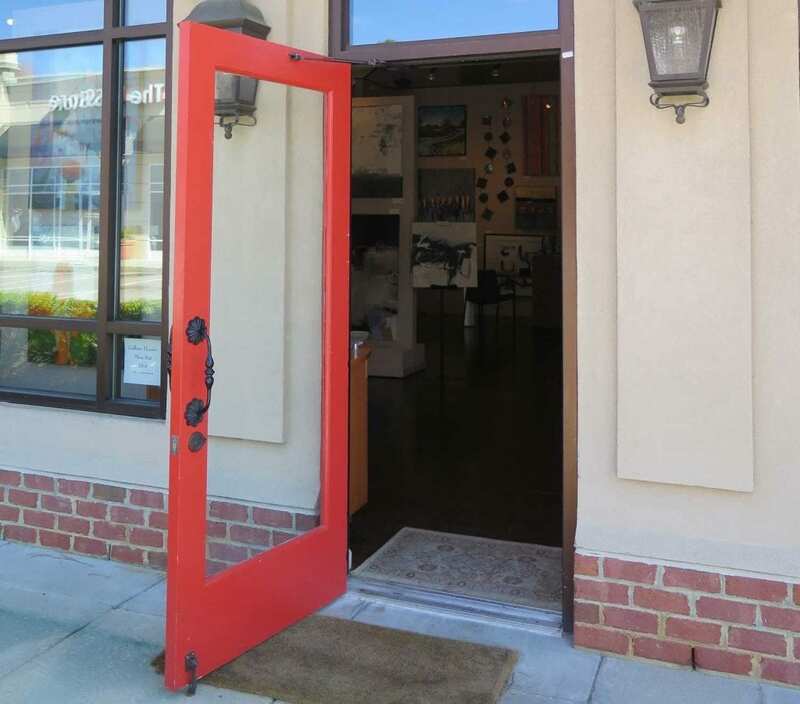 ArtSource is my hometown gallery located in the vibrant North Hills shopping center in midtown Raleigh. Owners Sharon Tharrington and Nancy McClure founded the business in 1990 and you guessed it, they have some staying power! The spacious, two-level gallery features the works of over 75 artists from the Southeast and offers art consulting and framing services to private collectors and corporate clientele. Sharon Tharrington reached out to me in 2008 as I was just beginning to paint full-time. I am very grateful to both owners and staff for their belief in me over the years, and their continued encouragement. They are easy to work with, allowing me the creative space I need before shows, and always graceful, friendly and professional. Get ready for a beautiful new restaurant in Beaufort to take your breath away! Designed with large windows and spacious dining areas overlooking the Beaufort harbor, this state-of-the-art restaurant brings a new elegance and energy to Front St. in historic Beaufort, NC. 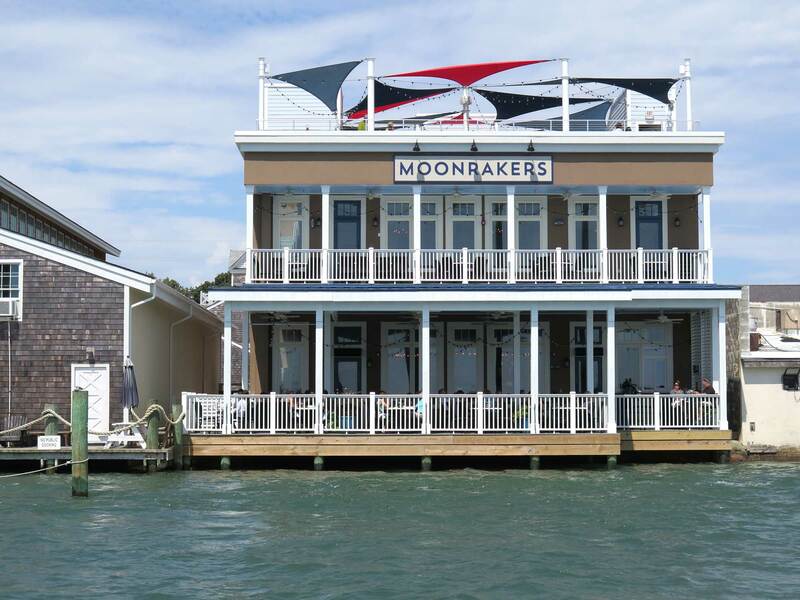 * ‘moonraker’ is a nautical term for the top sail on a square-rigged sailing ship. 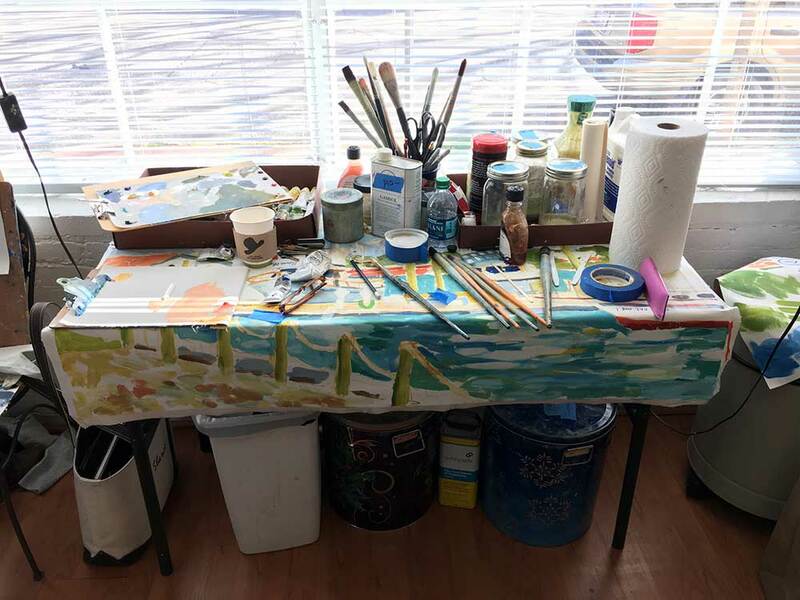 My studio is located in the Glenwood South area, downtown Raleigh. When I’m not traveling, you can find me here preparing new works for my upcoming shows & events. If you’re nearby, please stop by!